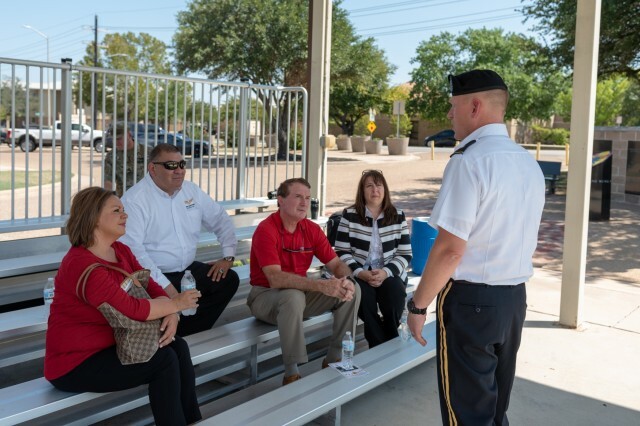 FORT HOOD - Civic leaders and veteran service organizations from the Houston area toured Fort Hood Friday, Aug. 24, 2018, with a team of leaders from their community partners at the 13th Expeditionary Sustainment Command. The visit comes just one year after Hurricane Harvey devastated much of the city. The relationship with the 13th ESC and the city of Houston began during the recovery and relief efforts following the storm. "People from various backgrounds came together responding to the devastation brought on by Hurricane Harvey. The soldiers from the 13th ESC were there to help Houstonian in many ways," said Spike Garcia, Director of Donor Relations with the Lone Survivor Foundation. "A bond is created when you're in a time of crisis and Houstonians will always remember the military and so many others who came to help out during their time of need." 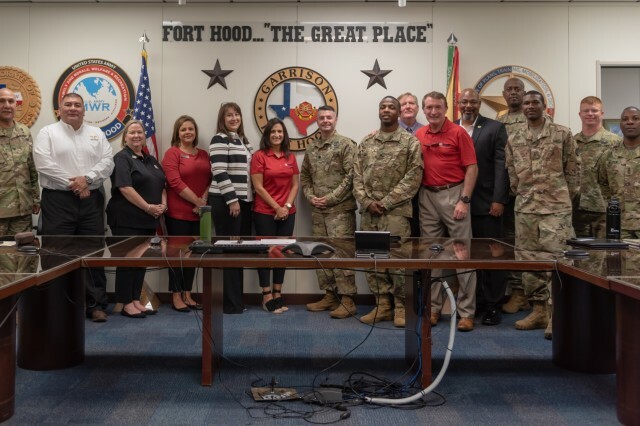 This is the first trip to Fort Hood for the Houston delegation, however, members from the 13th ESC traveled to Houston several time including the III Corps re-enlistment ceremony before a Houston Astros game in July. 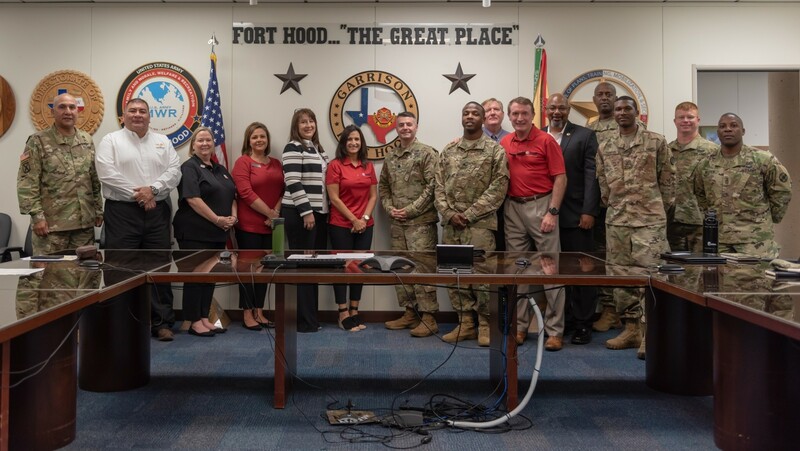 "We try to keep a steady dialogue with our partners in Houston, to include visits with key individuals, which helps build the relationship," said Brig. Gen. Darren Werner, 13th ESC Commanding General. "We are very pleased with all we accomplished this year, but our re-enlistment at the Astros game was a really big step for the future." The group received an overview brief from the III Corps Garrison Executive Officer, Lt. Col. Charles Eckstrom, and Mr. Bob Schumacher, the Marketing Coordinator & Transition Services Specialist, from the Soldier for Life - Transition Assistance Program to highlight the various programs provided by SFL-TAP. 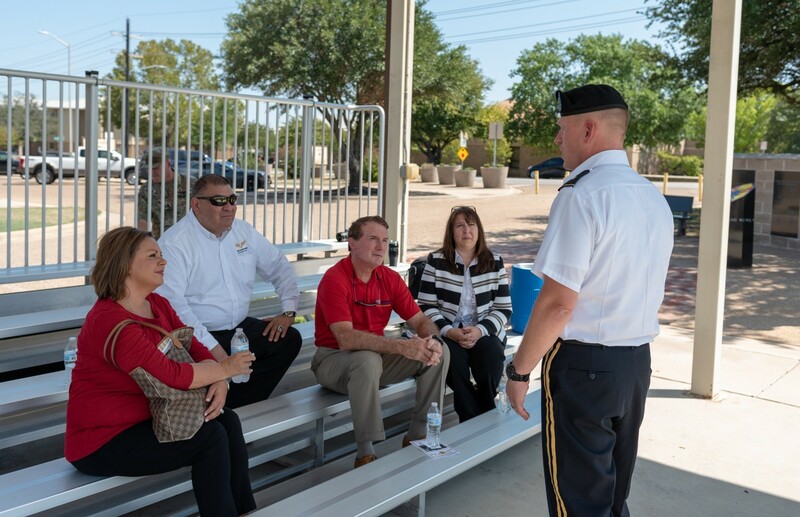 "By bringing representatives from a variety of industries, civic and veteran organizations we were able to share with the 13th ESC and III Corps leadership how we can help each other," said Garcia. "Soldiers will have additional resources available to them while they are serving and after they transition from the military." 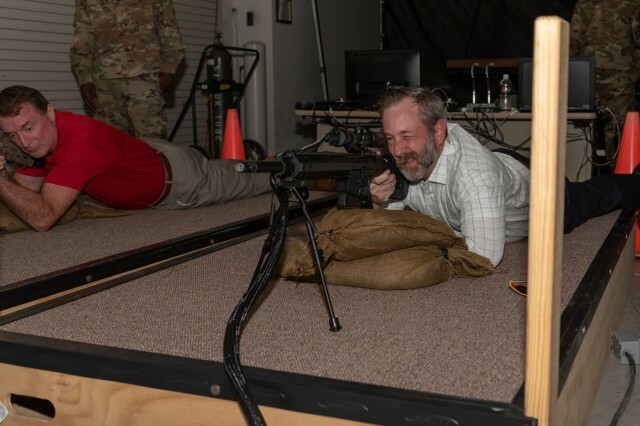 The group visited the Roosevelt Dining Facility and the Warrior Skills Trainer to experience a taste of what Phantom Warrior Soldiers experience in a typical day. To conclude their trip, they attended the 1st Cavalry Division patching ceremony and met with Brig. Gen. Werner at the 13th ESC memorial. The 1st Cav. Ceremony officially bid farewell to the outgoing Deputy Commanding General for Maneuver and welcome both the DCG for maneuver, Col. Christopher Norrie and support, Col. Miles Brown. 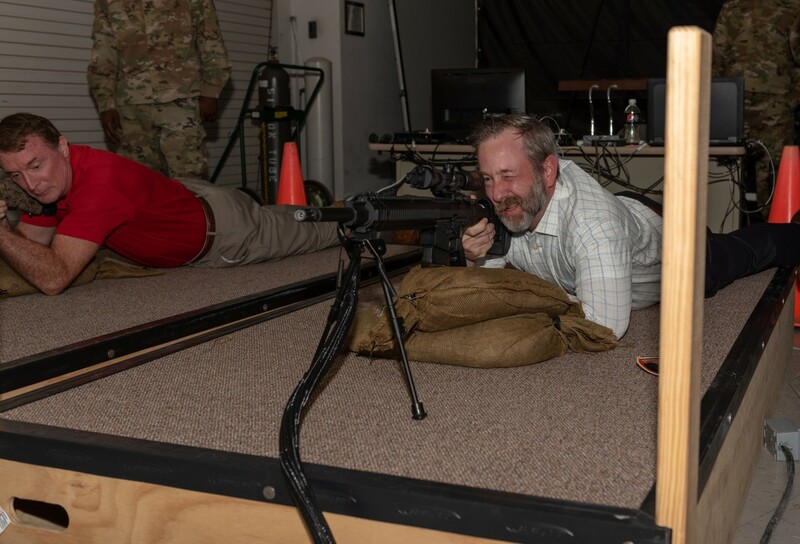 "We really wanted our guest to experience some of the rich tradition and heritage that makes the Army such a unique and special organization," Werner said. "What better way than to attend a ceremony with the 1st Cavalry Division. The timing couldn't be more perfect." The 13th ESC memorial, located next to the headquarters building was the final stop for the group before heading back to Houston. "Wrapping up at our memorial was really significant for us. We were able to talk about the sacrifices of our Soldiers and officially invite our Houston partners out for the re-dedication ceremony taking place during our birthday week next month," Werner said. The 13th ESC will celebrate their 53rd birthday during a week long celebration from Sept. 17-21.